Prepositional phrases can sometimes work as adjectives. In the following sentence, the adjective is a prepositional phrase: the clown in the circus was funny. 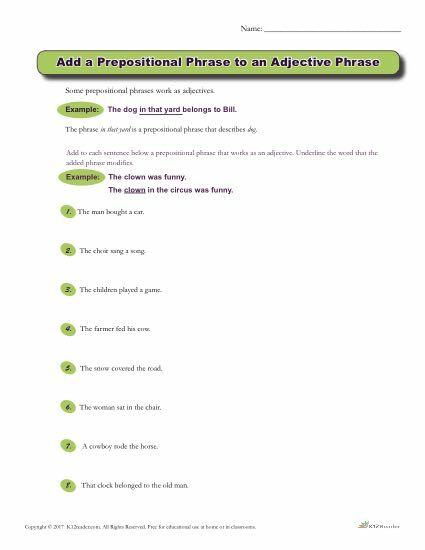 This worksheet asks students to add a prepositional phrase that acts as an adjective to each sentence. Ideal for 4th – 5th grade, but can be used where appropriate.